If you are new to light therapy (aka photobiomodulation) then please read my previous article here that explains it uses, benefits, and supporting research, as well as information about reflex integration. I also recommend reading Bonnie Brande's book called the Symphony of Reflexes. If you would like to do your own web research, you may search transcranial light therapy. We began using this QRI laser in June of 2016, one week after Presley turned 5. She was diagnosed with speech apraxia shortly before this using the standardized apraxia test from a local SLP. She began talking and communicating more immediately. We also saw an increase in cognition and understanding. We began slow and noticed every change in detail. We began the TALK program three months later and saw another increase with more spontaneous speech. Then, we began using this QRI helmet in November 2016 and saw an incredible "explosion" of speech, communication, clarity, muscle tone, balance, cognition, and more. It was as if my daughter "woke up". Presley had never been able to make the D, N, or T sounds, which require the tongue to touch the back of the top teeth, which is difficult to do as well as teach. We have worked diligently on this for a long time. She began saying all of them within one week of beginning the helmet, beginning at the middle and end of her words, and then progressed to the beginning of words very quickly. Coincidence? I do not believe so, because other letters like L's and R's followed spontaneously. For the first time, she told me "tummy hurt" and that she had a "hangnail" when she experienced discomfort. 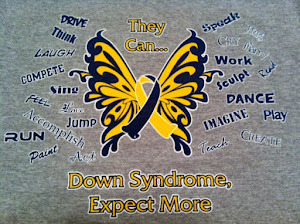 This is huge for our children (with Down syndrome) to actually express what is wrong and what they are feeling. Within 3 weeks, she began introducing herself saying "I'm Presley" to strangers and offering her hand out to shake. Her fine motor improved, and she began drawing more. Currently, 4 months into the helmet, she uses 4-5 word sentences often and has had a few 7 word sentences. She asked me to turn the radio on when we got into the car yesterday and said "turn it up, mommy, turn it up" when her favorite song came on. Earlier, she came to me and said "I'm sorry", so I asked what happened, and she showed me her legs and said "marker on my knees". She was showing me she had been drawing all over her knees. I also got the "get back mom, I'm a do it" during her first golf lesson last week. While we do many interventions to assist Presley, this has been our "game changer". She seems to say more, do more, and understand more and to put it simply, she is more present. Many people have questions about the helmet, so I thought I would compile the questions and information I have seen to make it easy for other parents to understand. This is Presley singing Happy Birthday to me 2 years after her diagnosis of "severe apraxia". What types of lights are in the helmet? All the lights in the helmet are LED and NOT a laser. Therefore, it should not be dangerous to the eyes. There are 180 LED lights on the inside of the helmet with 3 different types of lights. There are numerous studies supporting improvement in cognition, dementia, Alzheimer's, inflammation, PTSD, brain injury, depression, and more. The frequency range of upper 700's to 810 Hz is typically mentioned. I spoke with Michael and in the near future, they will be changing the infared light from 780 to the 810 LED. What is the difference between the CMT and QRI buttons on the unit? QRI frequency sweep button: this has 60 pre-programmed frequencies Bonnie has personally chosen to assist in reflex integration. There are 3 frequencies for each reflex in a specific order. The unit will continue each frequency approximately 30 seconds before going on the next. This means it takes about 30 minutes to run through all the frequencies. These were chosen to address reflexes, stem cells, love, emotions, and more. CMT frequency sweep button: this does a sweep of frequencies 1-2000 Hz and continually repeats itself. The body then chooses to utilize (absorb) which frequency it needs. This is the same as the CMT on the laser. You may run each button individually or both buttons simultaneously. Bonnie uses the helmet and the QRI laser at the same time during her sessions for clients. The helmet will not integrate reflexes on its own, but can speed up the process of integration. If you are able to use both, the laser will already have the CMT running, so you may just choose the QRI frequencies button on the helmet. Can you use the helmet while it is charging? When is the best time to use the helmet? Bonnie uses the helmet while she is also using the laser during reflex integration sessions for her clients. If you have a young child, they may not tolerate this. It is advised to use the helmet/laser while the client or child is calm and relaxed. Many parents use the laser or helmet while their child is asleep. I have used the laser and helmet many, many times while they are watching TV as it keeps my daughters still and some progress is better than no progress. Bonnie has said the frequencies from the TV will conflict with the frequencies from the CMT though. Recently, I had not gotten in our session during an extremely busy day, so I placed the helmet toward the back of my daughter's head after she fell asleep. I sat with her and left it in place for 12 minutes, the next day, she talked non stop with new words, as well as her first 7 word sentence. Even her music teacher said she had her best day and almost played Mary had a little lamb on the xylophone by herself. How long should I use the helmet? Small kids can be as little as 5-10 minutes and adults can be 45 minutes to 1 hour. Bonnie has said it has been used for a stroke victim one hour twice a day before. This is going to be different for each child/person. Let your child and your intuition be your guide. They will let you know when they have had enough, and this may actually vary daily for the same child. The child may tell you they wish to stop, squirm more, push it away, or want to leave when they have had what is enough for them. What does our typical session look like? We do our best to use our laser according to Bonnie's protocol at least three times a week. After we finish a session, I try to use the helmet for 5-10 minutes for Presley. Sometimes, I like to wear the helmet while I am using the laser for her reflexes before giving the helmet to Presley. She doesn't like to wear it yet, so I "hover" it over her head. Why did I personally choose using the helmet versus neurofeedback? Before purchasing the helmet, I talked with a wonderful warrior mom who had used both at different times, and she made a good point that stuck with me. (Thank you Jane!) She said that neurofeedback attempted to create typical brain waves according to what was typical for "neurotypical" children, which are children are not. However, the laser and helmet encouraged the body to heal and repair itself and make its own necessary personal adjustments. So, the body is figuring out exactly what waves were appropriate itself. Can the helmet be used for children that have seizures? This is a topic for your pediatric neurologist. One mom stated she had the neurologist sign off that her child had no light sensitivity reaction that would cause seizures. The staff at QRI are not medically trained and will not advise on subjects such as this, so please discuss with your physician. Why are there 3 jacks on the unit? You may use any of the three open jacks located on one side of the unit (opposite of the charging jack). The additional jacks can be utilized for other components such as the laser or an LED attachment. What if the helmet is too big for my child? 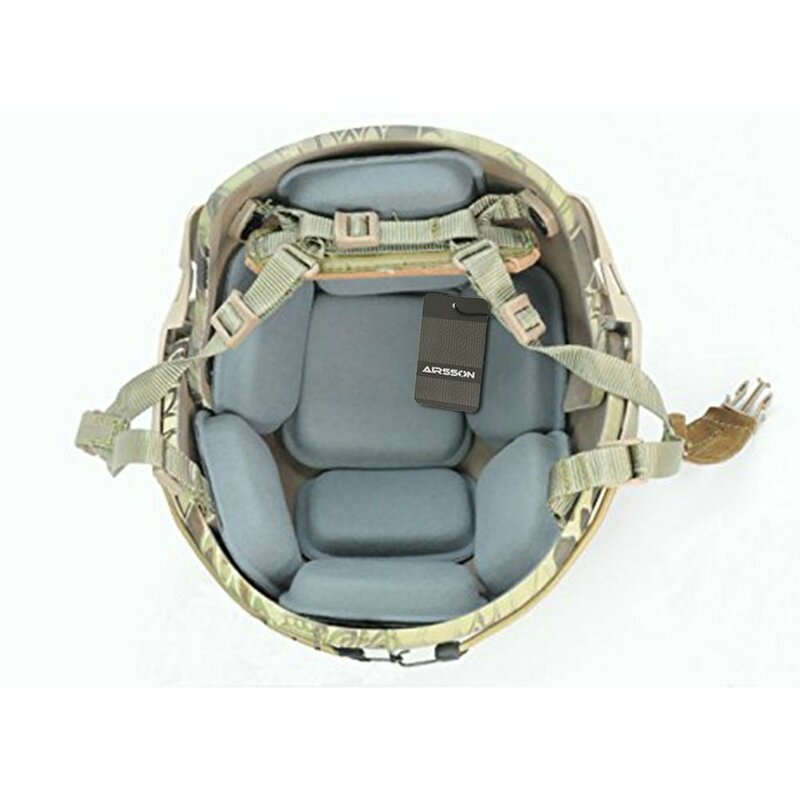 I placed some soft helmet inserts like this in that I purchased from Amazon. I was sure not to block any of the lights, but this elevated it some and provided a softer surface for contact. Please let me know if you have any additional questions I could add to help others along their journey. I hope you have found this post helpful. Happy, healthy blessings to all.